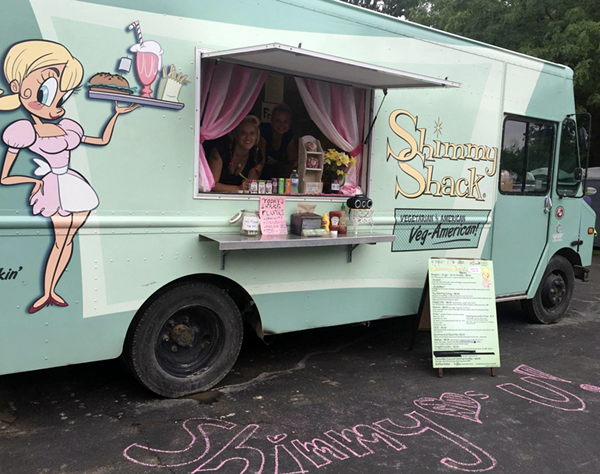 Vegan food truck Shimmy Shack is planning an Aug. 1 opening for its new brick and mortar location near Ann Arbor and Haggerty roads in Plymouth Township. Owner Debra Levantrosser says the new space will be a fast food concept with counter service, dine-in seating, and a 1950s vibe. “Our restaurant will pay homage to the cool style of the 1950s, and of course feature our mascot, Shimmy, in all her glory,” says Levnatrosser, or “Shimmy Mama,” as her fans know her. 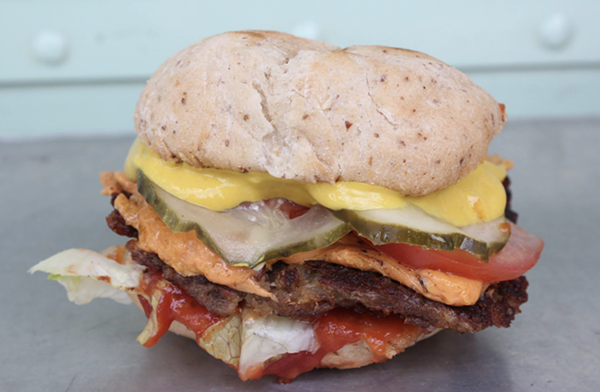 Shimmy Shack is metro Detroit’s only 100-percent vegan and gluten-free food truck. It launched in 2013 and was named one of the nation’s top five trucks by PETA. The food truck’s menu includes items like a coney dog smothered with black bean chili, mustard, and onions on a warm gluten free hot dog bun. It also offers burgers like the Southwest Burger, with a house-made black bean and rice patty that’s topped with guacamole and salsa, and the Classic Burger – its version of a fast food cheeseburger. The truck also serves french fries, sweet potato fries, chili fries, and chili cheese fries with special sauces, as well as shakes that come in chocolate, pumpkin, strawberry, and cookie monster.